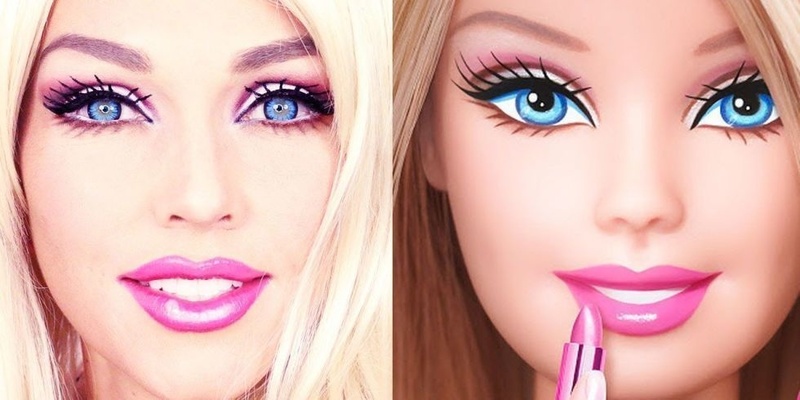 Transform yourself into a plastic doll with this look. It’s fairly easy, it just requires a cut crease and some pink makeup. Pair the makeup with a blonde wig to complete the look!